Every poker site on the internet loves its high volume players. 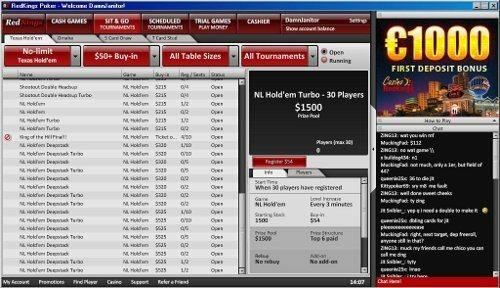 Therefore, nearly every poker site on the net has some sort of rewards program to give you some incentive to spend your valuable time at their site. On some sites, the incentive is in the form of rakeback. Rakeback, as the name suggests, is simply a percentage given back to you of the rake you generate. It states fairly high percentages sometimes like “Get 50% rakeback Today!” However, offers like these tend to be a lot of smoke and mirrors, because they promise a number but then have all sorts of asterisks attached afterwards. What you get is usually far lower of what you expected based on what you were promised. RedKings does the rewards thing in style. It promises AND delivers. It has built a RedKings Poker VIP Club rewards program that consists of 7 levels, 4 of which are monthly levels and the rest are yearly ones. For every hand of cash game poker you play that goes to the flop, a percentage of the pot goes to rake. For every dollar of rake you pay, you earn a certain amount of Player Points. 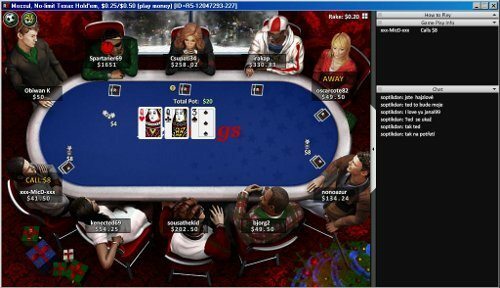 At cash games, the amount of points depends on several factors including stakes and number of players dealt in the hand. At tournaments and Sit and Gos you earn 3.6 points for every $1 paid in tournament fees. It is possible to earn partial points. You don’t spend your Player Points directly to receive rewards. Instead you’ll be credited with 0.72 RedKings Crowns for every point you accumulate. It is these Crowns that can be exchanged in the VIP Shop for RedKings gear, electronic merchandise, tourney tickets and cash. Bronze: The Bronze VIP Level is activated upon first deposit. The monthly Bronze VIP level is the level at which everyone starts, and the rewards you get at this level are comparatively very low. This level is good for an equivalent of 8% – 12% Valueback. You will also get access to 10 Special Sunday $100 Freerolls. Silver: The next step-up the VIP Ladder, Silver Level is achieved by accumulating at least 1,000 player points per month. You will get rewarded equivalent to 12% – 15% Valueback. Additionally, you are awarded with a 20% discount in VIP Shop Items, 20 Special Sunday $100 Freerolls, 1 month of extra freerolls, Gift Vouchers and Player to Player Transfers. Gold: Gold level is achieved by amassing at least 3,000 points in a calendar month. You will be rewarded equivalent to 15% – 18% Valueback. Additionally, you get everything the Silver Level has plus you are awarded with 30 Special Sunday $100 Freerolls and 2 months of extra freerolls. Platinum: And the last of the monthly VIP Levels, Platinum is awarded to players who accumulate over 6,000 points in a single calendar month. You will be rewarded with the equivalent of 18% – 20% Valueback. Add to that 40 Special Sunday $100 freerolls, 3 months of extra freerolls, extra discounts on merchandise, and exclusive live event offers. Platinum Elite: The first of the yearly VIP Levels. Here is where it gets interesting. By averaging Platinum level through a whole year, at the end of the year you will be awarded with the Platinum Elite VIP Level. You will be rewarded with the equivalent of 20% – 33% ValueBack. Additionally you will also get 50 Special Sunday $100 Freerolls, extra discounts of merchandise, frequent special offers, Player to Player transfers and also a personal VIP Manager. To reach this level, you need to maintain an average of 6,000 points per month for the whole year. Diamond Elite: The next step-up in the yearly VIP Ladder is the Diamond Elite. To reach this level, you need to maintain an average of 13,000 points per month every month for the whole year. As a benefit to the more serious grinders, you will be rewarded with an equivalent of 33% – 36.5% Valueback. Add to all that 12 months of extra freerolls and 50 special Sunday $100 freerolls, play with team RedKings, and support via MSN/ICQ. Royal VIP: The end-all, be-all of RedKings VIP Levels. To attain Royal VIP is not an easy task. You will need to average 20,000 points per month for a whole calendar year. That is 240,000 points minimum! But, befitting such serious grindage is fantastic rewards. You will be awarded with the equivalent to 36.5% – 40% Valueback. Additionally, you get everything that all of the previous levels have, but are also introduced with the RedKings concierge service, in which you can get just about anything and pay for it using RedKings Crowns. Of note is that all VIP Levels get access to the VIP Shop. Moving up levels take place instantly, as soon as you collect enough points for the next level in the RedKings Poker VIP Club. Of course, you need to maintain the amount of points you accumulate per level. If you don’t, your level will be reset in accordance with the amount of points you have accumulated in the previous month. Yearly VIP levels are awarded, yes, but to maintain them you will need to maintain the corresponding monthly average befitting the yearly level achieved. It’s notable that if you collect enough points to have achieved a yearly average corresponding to one of the top three tiers, you’ll be placed in that level even if you haven’t been playing for a full year. For instance, the Platinum Elite VIP level requires a monthly average of 6,000 points for a year, which equals 72,000 Player Points. If you can achieve this total of 72,000 after, say, 9 months, you’ll become Platinum Elite without having to wait for the end of the year. If you do not maintain the level of play required for a given level, your VIP level will be moved down to the level you are currently performing at. There is a one month grace period for all VIP levels, meaning you will not move down until the second month after which you have not earned enough points to maintain it. So, how do you get your hands on all these? Well, remember the RedKings Player Points we talked about a while back? Well, at the same time as you’re accruing points, you’ll be awarded RedKings Crowns (cool, huh?) at a rate of 0.72 Crowns per player point. The RedKings VIP Shop uses the RedKings Crowns as currency. Every item has its price. By trading in your Crowns for cash, you can effectively earn RedKings Poker rakeback for yourself. Beyond this point, I don’t think you need further explanation. While the RedKings VIP Club doesn’t pay you straight rakeback like some other sites, it effectively acts as a rakeback equivalent. As you move up the ranks, you’ll see your cashback percentage increase from around 8% for low-volume play at Bronze level to 40% for the most serious Royal VIP play. When you add in the special freerolls and other exclusive offers granted to the higher-level grinders, the rewards become truly outstanding.